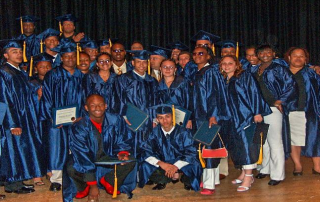 Youth Action Programs & Homes provides education, training, and leadership opportunities to low-income young adults. This program has partnered with City Harvest and the United Way’s Hunger Prevention & Nutrition Program to provide a Community Food Pantry that distributes fresh and canned food to over 300 individuals and families in East Harlem per month. Food Pantry provides nutritional information, and health insurance and food stamp entitlements. YAPH is launching a compost initiative with students working towards their GED while learning job skills. 2013 Winner of First-Ever Manhattan Community Scale Composting Contest. A déménagé ? Institution Genevoise de Maintien à Domicile (IMAD) - renseignements.